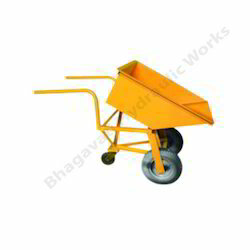 We are leading manufacturer of material handling equipments, such as material Forwarding trolley. We manufactures trolley with SS 304 , SS 316 stainless Steel Material And as per customers need. 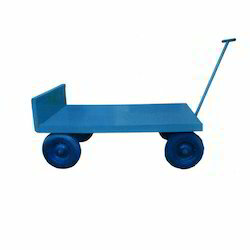 We feel immensely pleased to offer an exclusive gamut of Wheel Barrow Trolley. Our offered range is manufactured by utilizing optimum quality raw material and advanced technology by our skilled professionals. In order to ensure quality, these trolleys are rigorously tested on various parameters. Apart from this, we provide the entire range in various sizes and designs, as per the ever-evolving requirement of our clients. 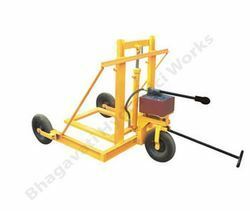 We are engaged in offering a wide range of Hydraulic Trolley. These high grade Hydraulic Trolley are known for their reliability, quality, performance and high standard. They are capable of heavy load bearing and withstanding long hours of operation. These Lift Tables are extensively used in large production units and manufacturing facilities to transport heavy industrial objects.